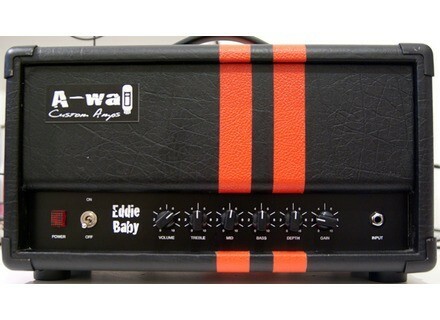 Eddie Baby, Tube Guitar Amp Head from A-Waï. A-Waï Custom Amps is a young French brand dedicated to building custom tube amps for electric guitar and bass. A-Waï Custom Ampsʼ activities include building tube amps from scratch, and also modifying or repairing existing amps. "The company doesnʼt offer exact clones of vintage amps, which are often overkill for todayʼs guitarists, but instead, each of its customers expectations and constraints are carefully studied in order to offer a solution which fully fulﬁll its needs." 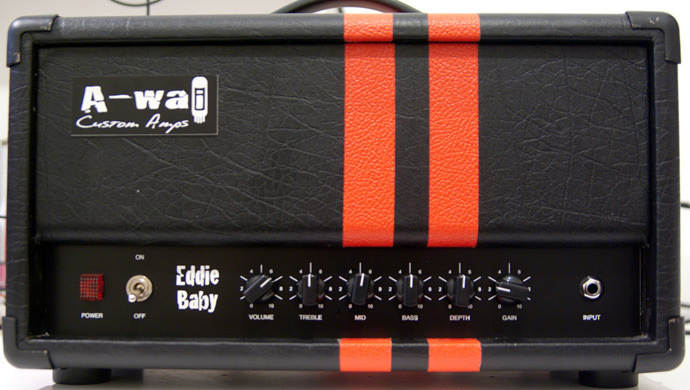 The Eddie Baby model is designed to be "fully into modern high gain sound for todayʼs metal players." The Micro Lead OD is also "a high gain amp, but with a more organic touch, with more harmonics and a more "authentic" tone." The Multi-Champ is designed to "please the vintage sound lovers, offering clean and crunch tones worthy of the greatest amps of the 60ʼs and 70ʼs." For more details, check out www.a-wai.com (French only at the moment) or email info@a-wai.com. New Anthology of Sound Effects The brothers from Anthology of Sound have just completed 3 new effects in their line of pedals, available since the beginning of the week. Cort Gasoline 1 & Motor Oil 1 Cort Guitars announces the new Fuel Series guitars, a collaboration with Los Angeles-based builder Stephen McSwain. The two models are the Gasoline 1 and the Motor Oil 1, both available in retailers worldwide. Dunlop Heavy Core Seven String Set Dunlop has announced the release of their latest Heavy Core Seven strings.